I spent the morning resting in my hotel room, talking on the phone to some nice Mastercard people, looking at photos, making forays to find bank machines. My credit card has a locked PIN that I still haven’t managed to reset. Since it’s a weekend, I don’t want to risk my other resumably good bank card in a potentially-card-eating-machine, so I am watching my remaining Euros until I find an ATM adjacent to an open bank. But all will work out. I checked out of the hotel at noon, and sat on benches watching the world go by until the €5 municipal albergue opened at 2 pm. Staying in the albergue will get me on the road early tomorrow and I should see some friends there. 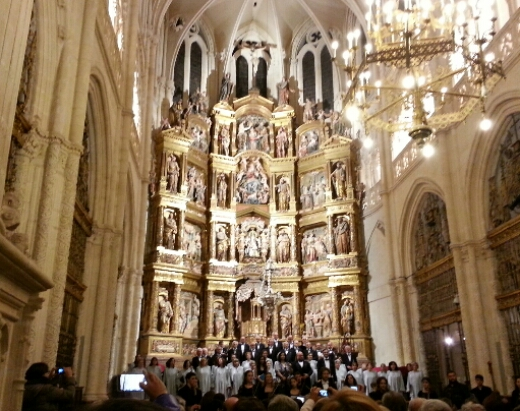 A key reason I decided to take an extra day in Burgos… there was a free concert by the Salamanca choir and symphony orchestra performing Mozart’s Requiem in the Burgos cathedral for All Souls Day. 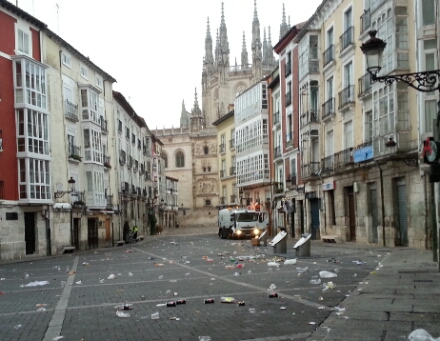 Saturday night, at least on October 31, is party night in Burgos. There was a popular bar across the street from the albergue. Noisy!! Street cleaners are at work early. 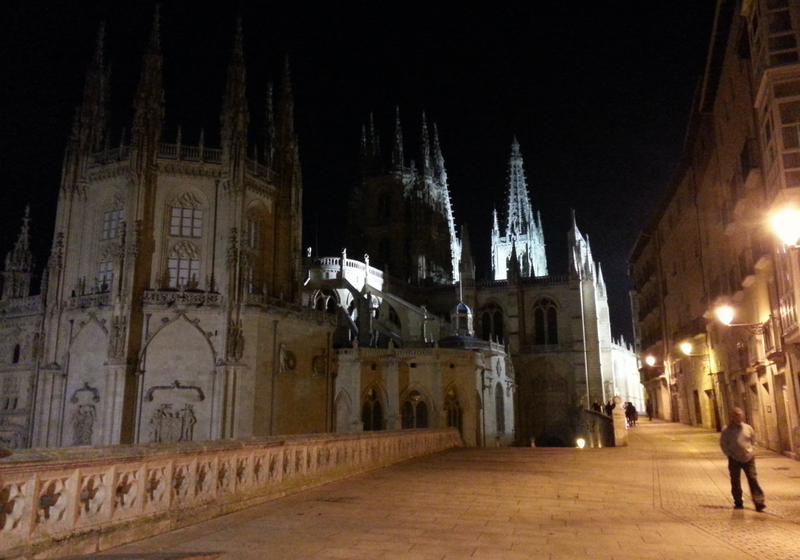 November 1, 2015 in Camino 2015. I’m sure you can turn any trip into an excellent adventure!